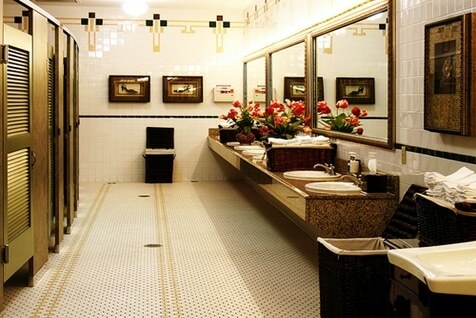 A clean and hygienic washroom says a lot about the type of business you run. It is also essential for the comfort of employees and customers. The provision of adequate sanitary waste disposal options is a significant factor in creating a comfortable, hygienic and welcoming female washroom. Done well, there’s nothing wrong with DIY sanitary disposal. First of all, you need to have the right equipment, such as bins with lids that seal so as to prevent odour problems. Regular emptying of those bins is also crucial. You would also need to consider signage to let washroom users know how they should dispose of sanitary items, rather than run the risk of flushing of sanitary which can result in costly plumbing issues (not to mention environmental issues). Or you could try a managed washroom service. Firstly, there’s no need to explain to women the purpose of a sanitary bin. And, most importantly, the sanitary bins are regularly removed and replaced on a flexible service schedule. Fresh & Clean’s feminine hygiene service is designed to provide maximum comfort for your female employees and customers.Contemporary, discreet and can be wall-mounted for extra convenience. For businesses with nappy changing rooms such as shopping centres, Fresh & Clean also offer an equally safe and hygienic nappy disposal facility. See it in action. Talk to an Expert! Our representatives are waiting for your call.